A bench led by Chief Justice of India (CJI) Ranjan Gogoi said "we will examine the issue" and gave the Centre four weeks to respond, but refused to order a stay on the 10 per cent quota. 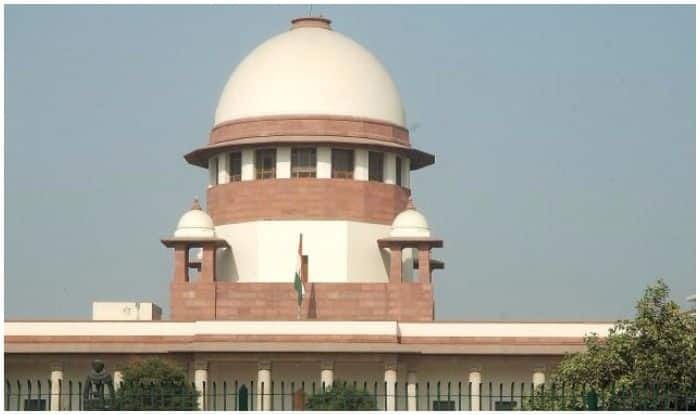 New Delhi: The Supreme Court on Friday issued a notice to the Centre on pleas challenging the constitutional amendment that gives 10 per cent reservation in jobs and education for the economically weaker section (EWSs) of the general category. A bench led by Chief Justice of India (CJI) Ranjan Gogoi said “we will examine the issue” and gave the Centre four weeks to respond, but refused to order a stay on the 10 per cent quota move. Pleas challenging the Centre’s decision to introduce 10 per cent quota for the poor in the general category had been filed by NGO Youth for Equality and Kaushal Kant Mishra. The pleas sought quashing of the law stating that it violated the basic feature of the Constitution. They added that economic criterion cannot be the sole basis for reservation and the 50 per cent ceiling limit cannot be breached. The EWS bill had been passed in both the Houses of Parliament earlier this month and was given the President’s assent. It must be noted that despite the pleas, the Centre has stated that from February onwards, all Central Government posts will be filled in accordance with the 10 per cent reservation. It has also stated that the quota will be introduced for admissions to higher education institutions from the upcoming academic sessions and college authorities have been asked to increase infrastructure for it. The 10 per cent reservation in jobs and education for the EWS has fixed an annual income of less than Rs 8 lakh and not owning more than five acres of agricultural land as criteria for defining an economically weaker section in the general category for availing of the reservation in educational institutions as well as government jobs. It does not provide quota for those owning a flat of 1,000 square feet or more, land of 100 sq yards in notified municipality area and 200 yards in the non-notified area. In a 1992 order, the Supreme Court had capped reservations in government jobs and education at 50 per cent. But in order in July 2010, it allowed states to exceed that limit if they had solid scientific data to justify the increase. The apex court had also asserted that the Constitution makes no case for the quota on the economic ground and only talks of educational and social backwardness besides those for the SCs and STs.